It’s not a secret that your customers want to talk to you. In fact, as cell phones have become more integrated into our lives every day, marketers are quickly learning the most effective ways to respond. You need to have a plan in place for when your customers call you, because they are doing this in record numbers. 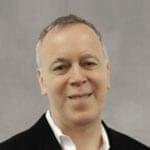 In addition, online lead generation has taken notice and many are adopting voice recognition as a key marketing tool. That’s right, interactive voice recognition (IVR) systems are not just a replacement for an operator. Yes, on the one hand, IVRs do act as a de facto operator, in that they greet the caller and ascertain the reason they are calling, but the good ones do much more. 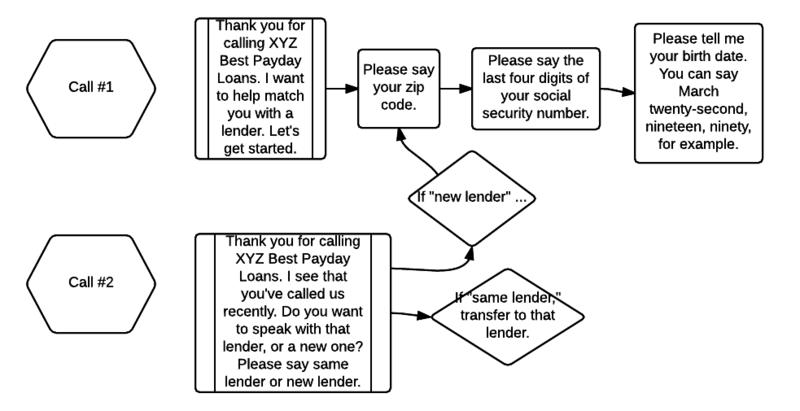 So, let’s take a look at two sample call trees for a payday loan lead generator. You might not be able to tell right away, but these two calls have already learned a great deal about your customer. You see, the IVR is connected to a cloud-based server, and to the lead generator’s database. So, when the call comes in, it is instantly checking the database for the incoming phone number to see if they have called before. That’s the difference between the two calls. In Call #2, the system recognizes that the caller has called recently (whatever period of time you want) and offers to transfer the caller to the previous lender. If they want to try a new lender, the call is routed to the beginning of the new lender IVR. In Call #1, the caller is greeted and the questions begin. These questions are actually filters which will help determine where the caller ends up. The zip code is the first question because in the field of payday loans, many states have outlawed the practice, so there’s no point in carrying on the phone call. In this sense, asking this question first eliminates wasted time for the system and the caller. The next two questions also act as filters and help to further identify the caller in an effort the help prevent fraud. This has transpired in the course of a few questions. In fact, imagine an operator trying to do this. They would not be able to keep up and the chance for error is far greater. In general, a typical IVR will have between 8 and 10 questions, all of which are filters that will determine if a lender will make a loan offer, and if so, which lender. The process is fast and convenient for the caller and it’s much faster and satisfying than if the call were handled by an operator. This is the key for lead generators; an IVR can help a caller/potential customer much more efficiently than if the call were handled by an operator and for the company. It’s a no brainer. They can save on labor costs, while being confident that they are getting the calls that they want and directing them to the proper lenders. Your customers are calling you. It’s time to be ready for them with a custom IVR.